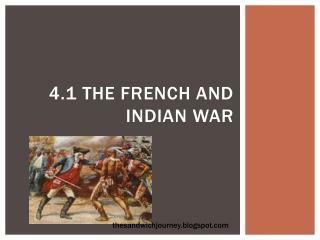 The French and Indian War. Competing European Claims . 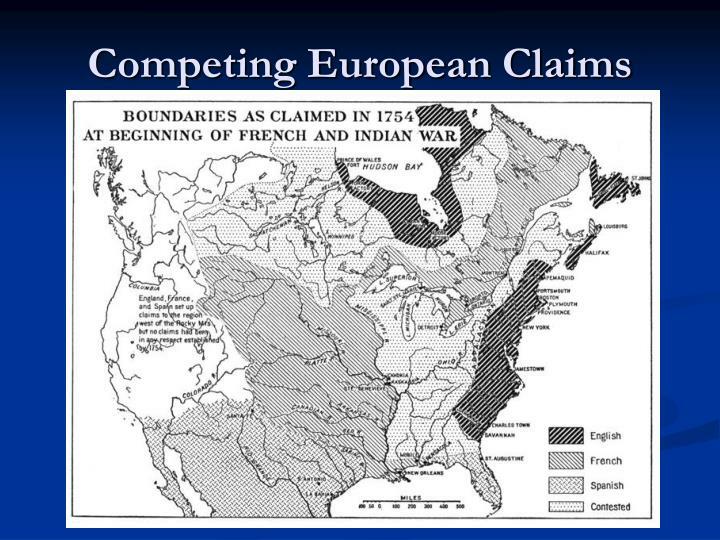 In the middle of the 18th century, France and England had competing claims for land in North America. The French held trapping and trade routes in the Ohio Valley. 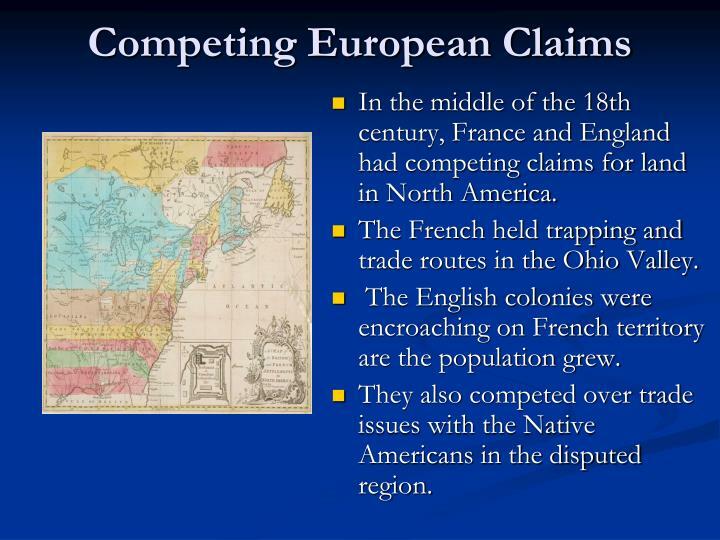 In the middle of the 18th century, France and England had competing claims for land in North America. The French held trapping and trade routes in the Ohio Valley. 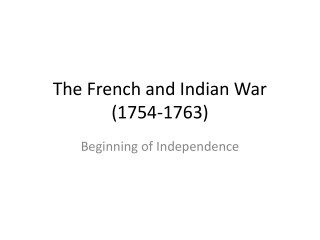 The English colonies were encroaching on French territory are the population grew. They also competed over trade issues with the Native Americans in the disputed region. The French set up forts along to protect their fur trading interests. Some of these forts conflicted with English claims. Virginia Governor Dinwiddie dispatched a young George Washington in 1753 to deliver a protest to the French. This protest was ignored. The British sent a party to construct a fort on the site of modern Pittsburg. A recreation of Ft. Necessity. The force was driven off by the French who, in turn, constructed Fort Duquesne on the site. The next year, Dinwiddie turned to Washington to expel the French from the site. 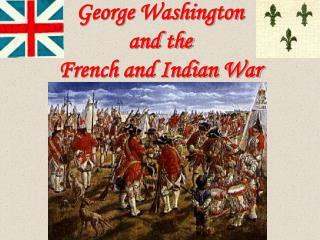 Washington was quickly overwhelmed by superior French and Native American numbers. 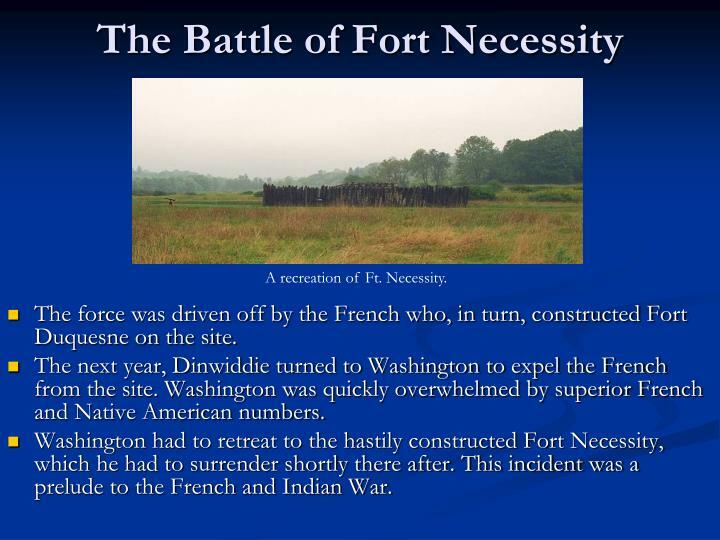 Washington had to retreat to the hastily constructed Fort Necessity, which he had to surrender shortly there after. 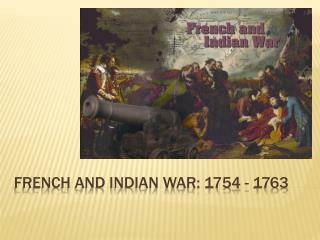 This incident was a prelude to the French and Indian War. 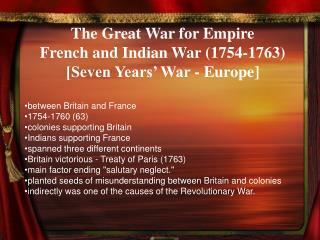 In 1754, war was inevitable. 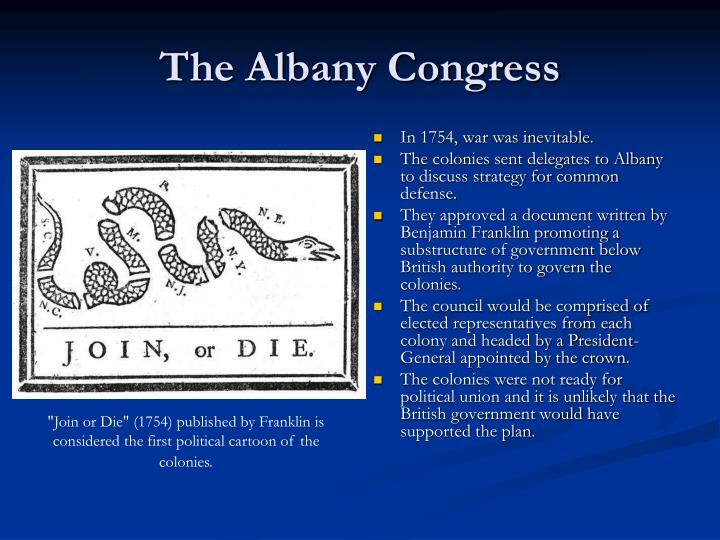 The colonies sent delegates to Albany to discuss strategy for common defense. They approved a document written by Benjamin Franklin promoting a substructure of government below British authority to govern the colonies. The council would be comprised of elected representatives from each colony and headed by a President-General appointed by the crown. The colonies were not ready for political union and it is unlikely that the British government would have supported the plan. "Join or Die" (1754) published by Franklin is considered the first political cartoon of the colonies. 10. 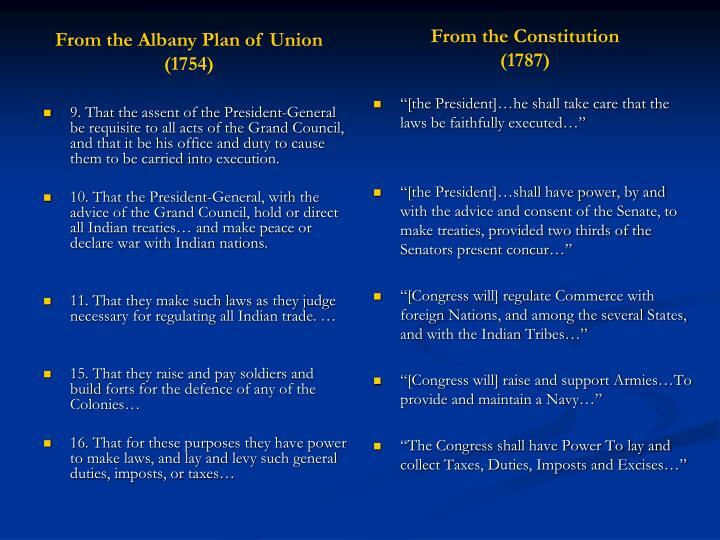 That the President-General, with the advice of the Grand Council, hold or direct all Indian treaties… and make peace or declare war with Indian nations. 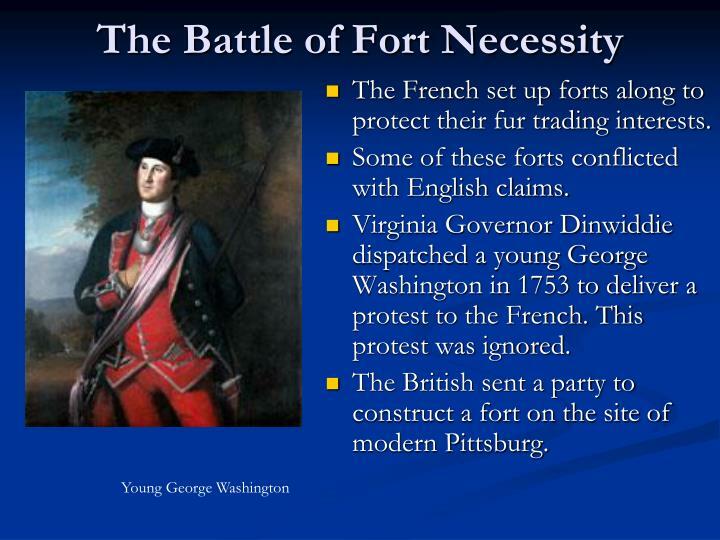 In July 1755, the British sent a force from Virginia to attack Fort Duquesne. 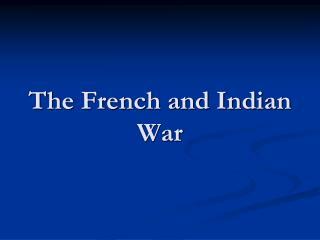 The heavy force was defeated by the smaller French force and their Native American allies. 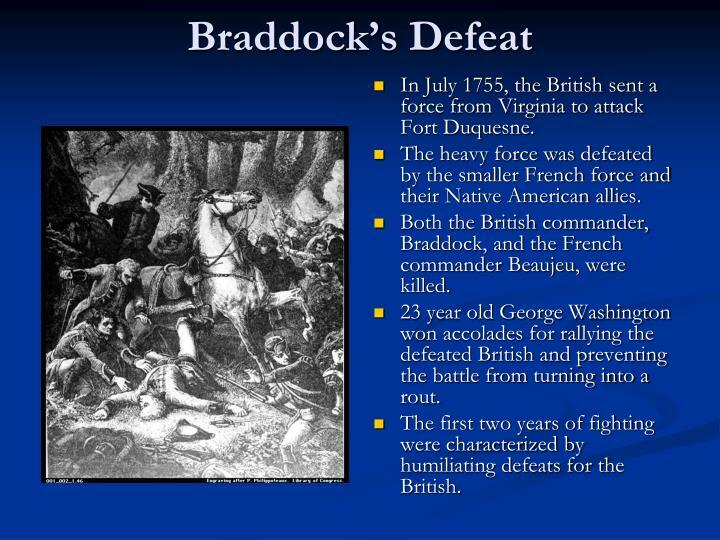 Both the British commander, Braddock, and the French commander Beaujeu, were killed. 23 year old George Washington won accolades for rallying the defeated British and preventing the battle from turning into a rout. 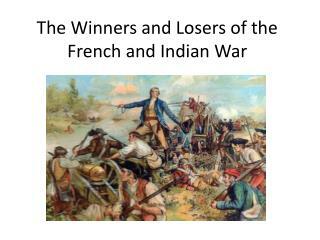 The first two years of fighting were characterized by humiliating defeats for the British. 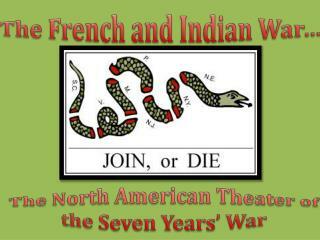 The French and Indian War was essentially the North American theatre of a larger conflict, the Seven Years War, in Europe. Britain, Prussia, and Hanover fought against an alliance of France, Austria, Saxony, Russia, Sweden and Spain. Prime Minister Pitt of England provided subsidies to Prussia to fight in Europe and committed British troops and resources to winning the war against the French in North America. 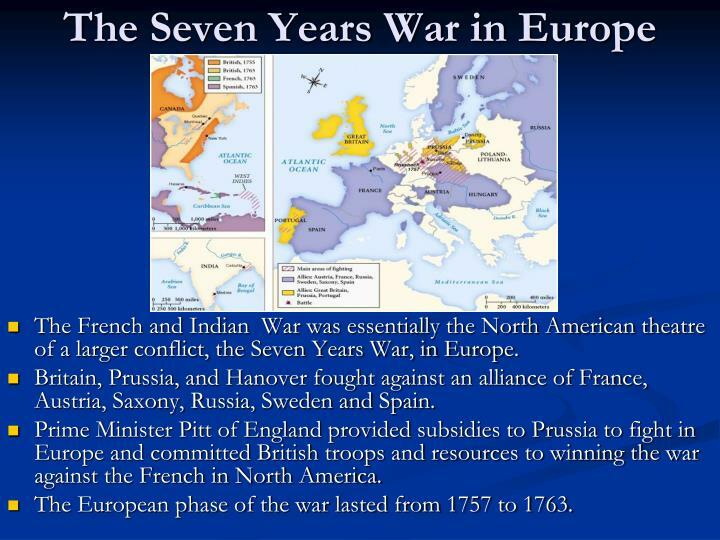 The European phase of the war lasted from 1757 to 1763. 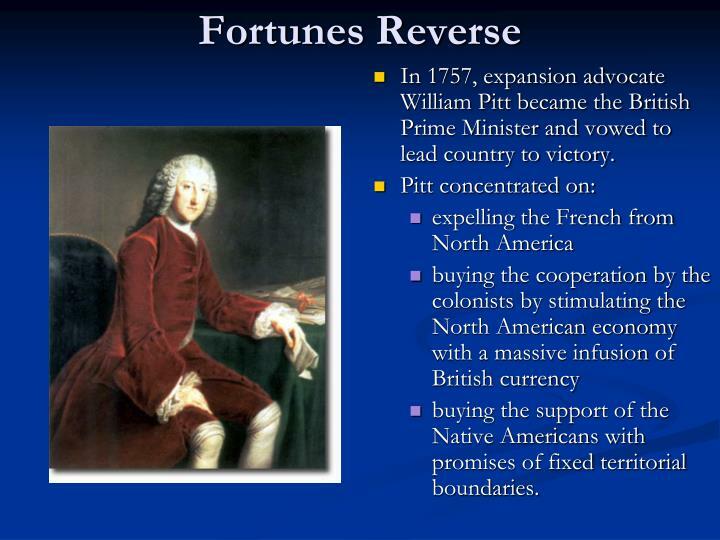 In 1757, expansion advocate William Pitt became the British Prime Minister and vowed to lead country to victory. 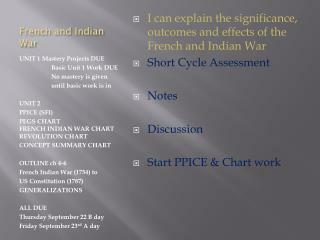 buying the support of the Native Americans with promises of fixed territorial boundaries. 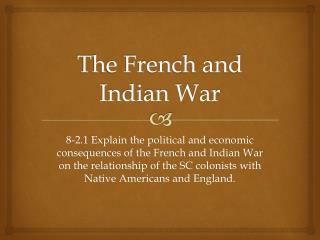 The greatly fortified force devastated the Cherokee to the South and began capturing strategic French forts and cutting off their supply lines. The British conquered Quebec in 1759. In 1760, they captured Montreal. 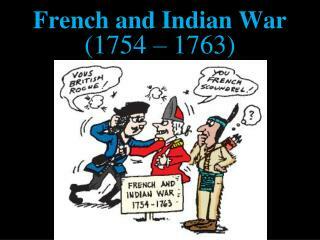 In the final years of the war, the British defeated the French Navy and took French colonies in the Caribbean. 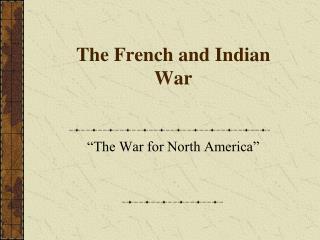 The French Empire in North America came to an end. 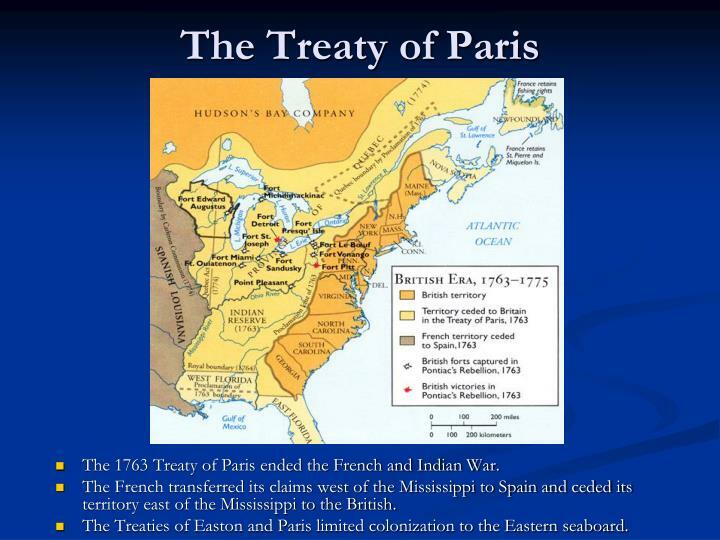 The Treaty of Easton, signed in 1758, essentially sealed France’s fate. In the treaty, the British promised the Six Iroquois Nations to stop settlements west of the Alleghenies in exchange for their neutrality in the war. 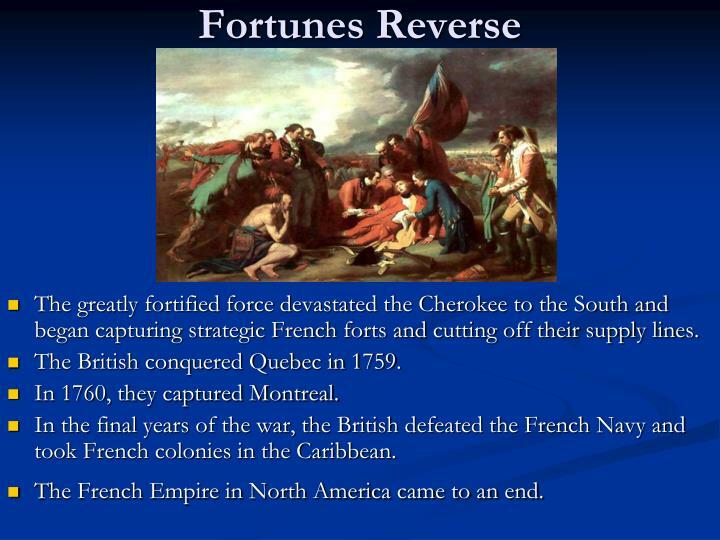 This caused the French to abandon Fort Duquesne and, by 1760, Detroit and Montreal, the last two French strongholds in North America, had fallen. 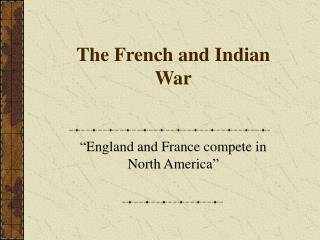 This was the end of major fighting in North America. 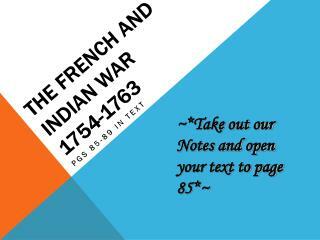 The 1763 Treaty of Paris ended the French and Indian War. 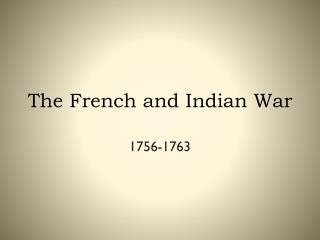 The French transferred its claims west of the Mississippi to Spain and ceded its territory east of the Mississippi to the British. 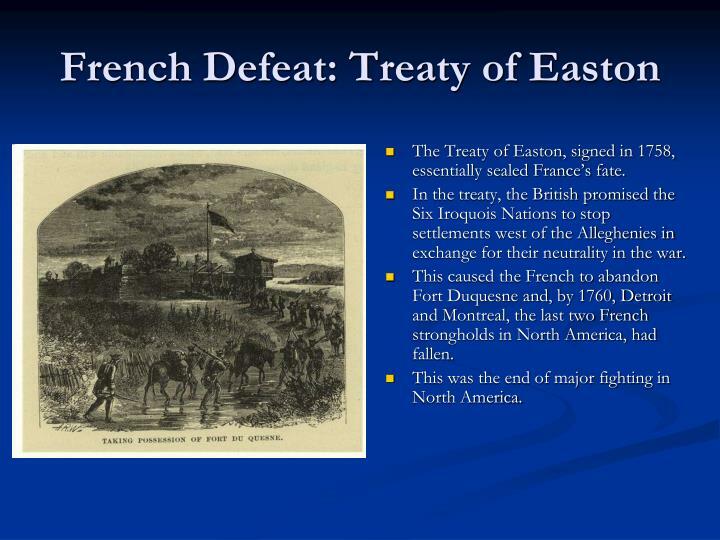 The Treaties of Easton and Paris limited colonization to the Eastern seaboard. Native Americans quickly grew disenchanted with the British. 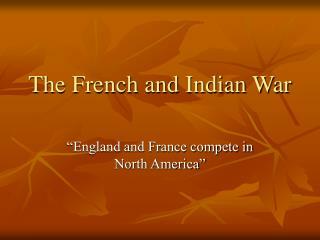 The British exhibited little cultural sensitivity, traded unfairly, and failed to stop encroachments on Indian land. 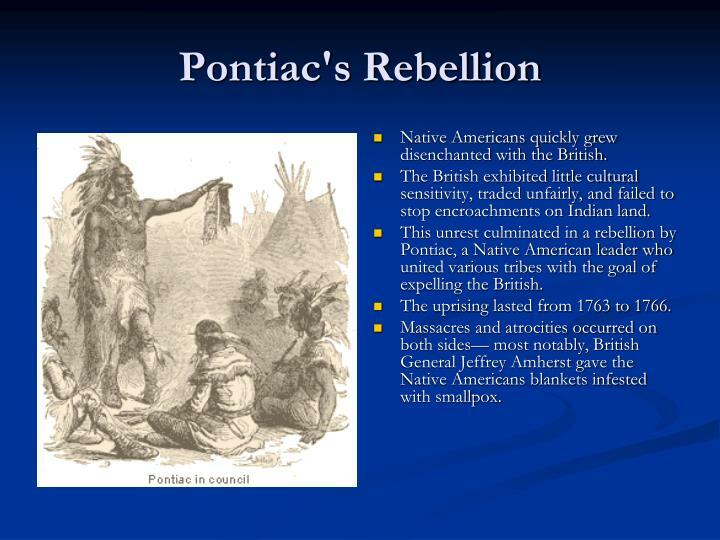 This unrest culminated in a rebellion by Pontiac, a Native American leader who united various tribes with the goal of expelling the British. The uprising lasted from 1763 to 1766. Massacres and atrocities occurred on both sides— most notably, British General Jeffrey Amherst gave the Native Americans blankets infested with smallpox. 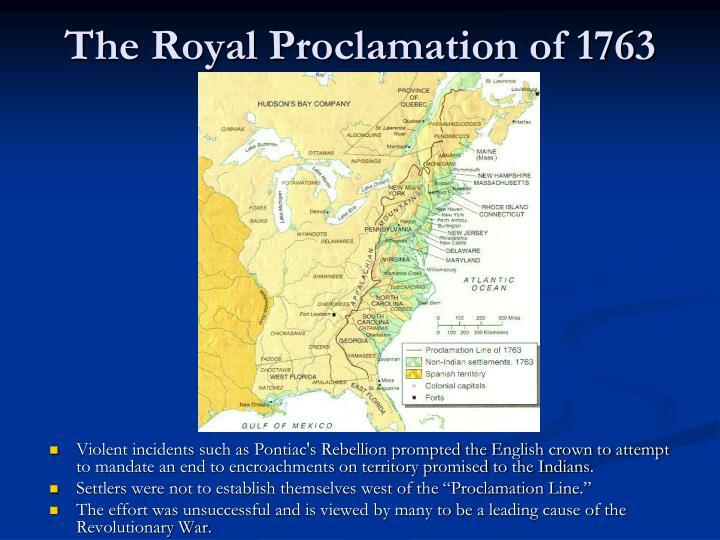 Violent incidents such as Pontiac's Rebellion prompted the English crown to attempt to mandate an end to encroachments on territory promised to the Indians. The effort was unsuccessful and is viewed by many to be a leading cause of the Revolutionary War. 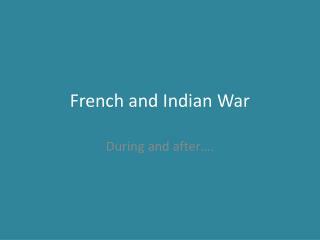 Salutary Neglect and The French and Indian War -. 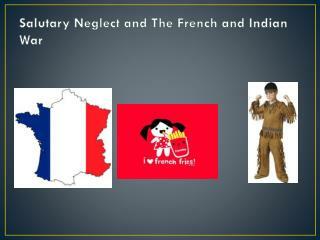 salutary neglect. the philosophy that england should leave the colonies alone to prosper great for the colonies (benefitted from england), but england doesn’t prosper. the navigation acts. 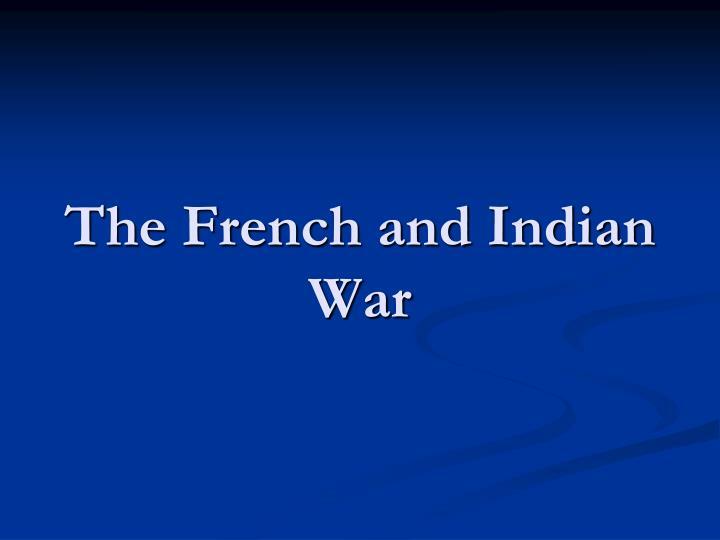 The Winners and Losers of the French and Indian War -. 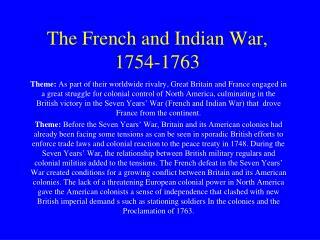 i. the french colonies. a. geography &amp; the population problem. 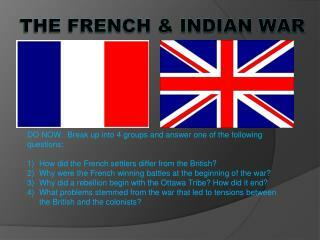 b. fur traders, soldiers &amp; missionaries . c. royal control  few religious or political freedoms. ii. 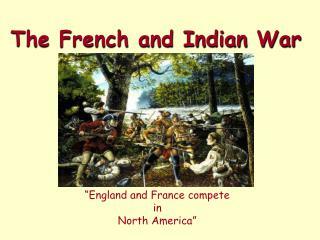 French and Indian War -. 1754-1763. albany plan of union. 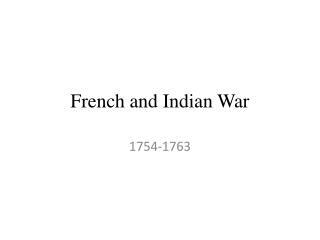 held in albany, new york, july, 1754. purpose was to get the iroquois on colonists side and create a mutual plan of defense for the colonies. benjamin franklin was behind the plan.